The Vortex technology produces an enormous flow velocity of more than 62 miles/h. 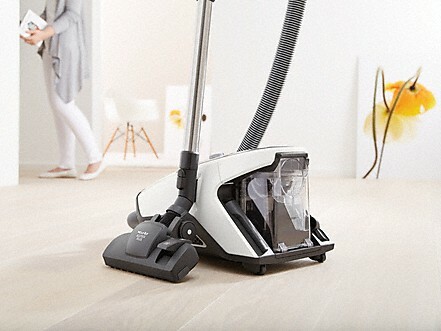 Combined with the specially designed floorhead and the aerodynamic air flow, the bagless vacuum cleaner achieves first-class cleaning performance. This ensures that coarse soiling and fine dust are separated in an outstanding manner. The coarse soiling lands in the transparent dust container, the fine dust in a separate container with a fine dust filter. 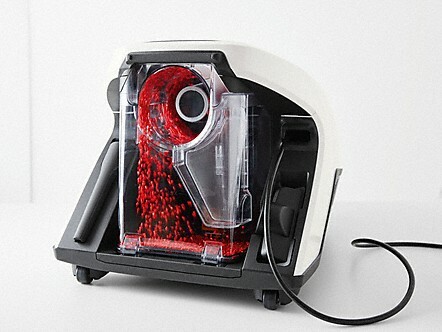 The Miele Blizzard canister vacuum cleaner has three high-quality accessories as standard: the upholstery nozzle and crevice nozzle are integrated in the appliance. A dusting brush is integrated in the Eco Comfort handle or is included separately. 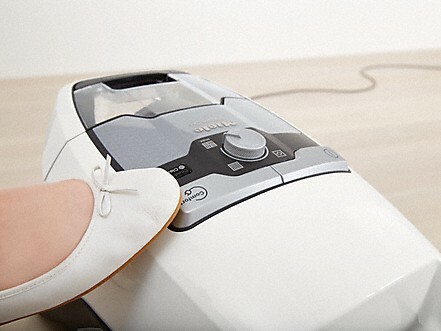 The wire on all Miele Canister vacuum cleaners can be rewound easily with a foot control, without having to stoop. 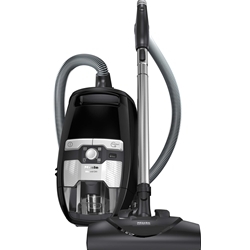 Compact C2, Complete C3 and Blizzard CX1 vacuum cleaners are also equipped with a touch control function, allowing the entire cable to be rewound at the touch of a button. Thanks to the HEPA AirClean lifetime filter up to 99.999% of even the smallest particles such as fine dust and allergens are retained by the system. The long bristles on Miele electrobrushes reach deep in between the loops and fibers of your carpet. 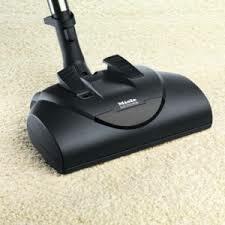 There they loosen dirt and dust particles which are then reliably removed by suction power. This not only cleans your carpet deep down. It also actively raises and straightens the loops and fibers. This makes your carpet appear more beautiful for a longer period of time.